It isn’t a holiday in Sri Lanka without a trip to the ocean: this petite, teardrop-shaped island is, thanks to its many stretches of sand and tropical heat, a beach lover’s dream destination. But if you’re truly passionate about your sunbathing and your swimming, you can make your whole holiday coastal. 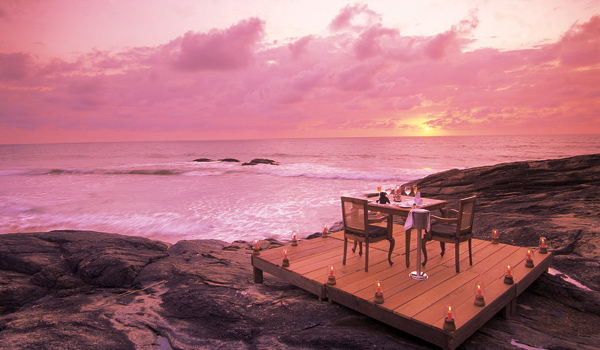 At these Sri Lanka beach hotels, the water’s edge is only slightly farther away than the lobby – and you may just be able to hear the crashing waves from your room. With just 12 suites on-site, the charming, boutique Aditya Resort ensures you’ll have an almost private perspective on those unforgettable ocean views. Spend your day on the sands, coconut in hand (and your meals too – personal chefs can arrange for a beach feast whenever you prefer). 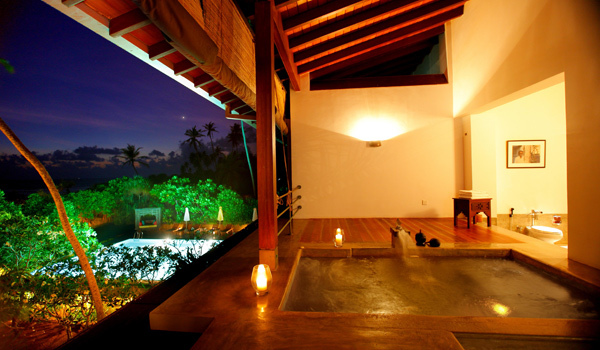 And when you’ve come in for the night, you can still go for a quick dip in your private plunge pool before retiring. 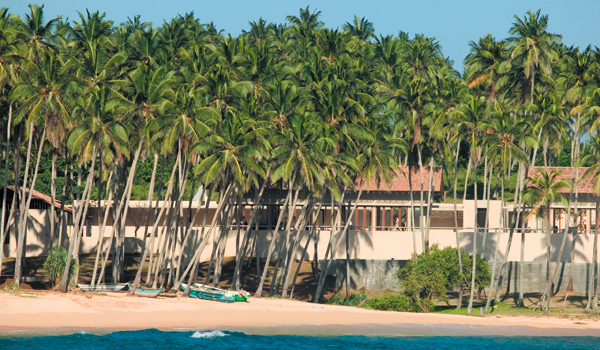 Secluded terraces and swimming pools, coconut groves and, naturally, beachfront views: Amanwella has all the ingredients necessary for it to count among the best Sri Lanka beach hotels. 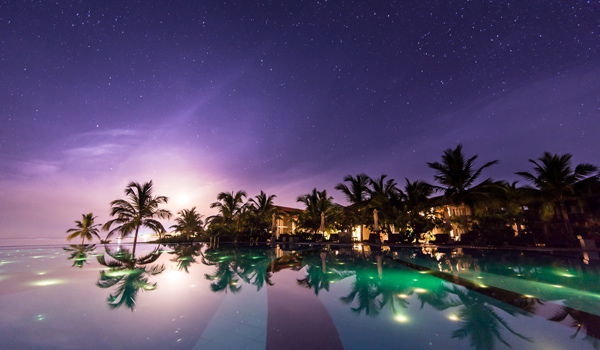 The hotel’s high-end restaurant serves wonderfully fresh seafood fished out of the waters of the Indian Ocean, while guests can also sign on for moonlit expeditions to watch hatchling sea turtles scurrying towards the surf. Or, failing that, it’s enough to simply doze on the beach, given that it ranks among the country’s best. 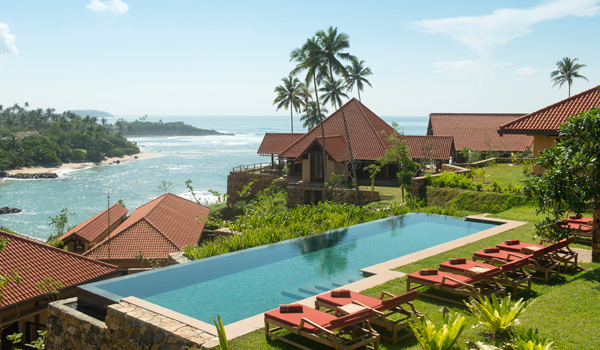 Having opened its doors only last autumn, the strikingly beautiful Cape Weligama has already distinguished itself as one of the best Sri Lanka beach hotels. Thai architect Lek Bunnag is behind the elegant beach ambiance at this retreat, which sits on the end of a beautiful promontory overlooking the crashing waves. The on-site infinity pool is a particular draw, given that it stretches for 60-metres and follows the curve of the cliff. If you do want to occasionally venture off hotel grounds, note that the Galle Fort, a UNESCO World Heritage site, awaits just beyond the boundaries. Private suites. Fine wine and gourmet food. Aromatherapy massages and Ayurvedic treatments at the on-site spa. Even if Saman Villas were situated in the back of beyond, its considerable amenities would make it a real draw. 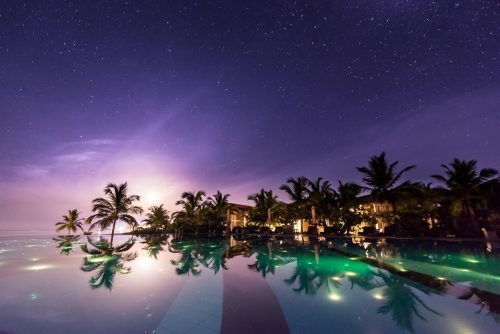 But happily, the boutique hotel is set on the very edge of the Indian Ocean, and guests are encouraged to try out new water sports, go on a mangrove river safari, or even spend a bustling morning at the local fish market. 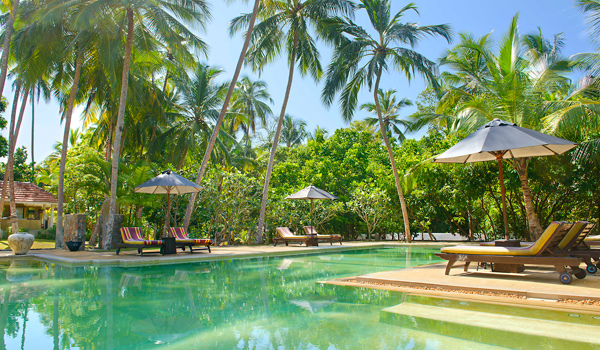 Located along Passekudah – a spectacular Sri Lankan beach that’s famous for its shallow, gorgeously warm waters – Uga Bay profits immeasurably from its sun-drenched environment. An underground spa offers ocean views alongside its many east-meets-west therapies and treatments, while those who enjoy snorkelling have coral reefs to explore. Not to mention the ocean views on offer from every single room and suite. It doesn’t get much more personal than Why House. A renovated villa that offers even more privacy than a traditional boutique stay, the hotel has just a handful of well-appointed rooms across its main house, cabanas, and garden villas. During the season, whales and dolphins can be spotted nearby. After a marine day out, a soothing evening on the terrace makes this a truly memorable stay.